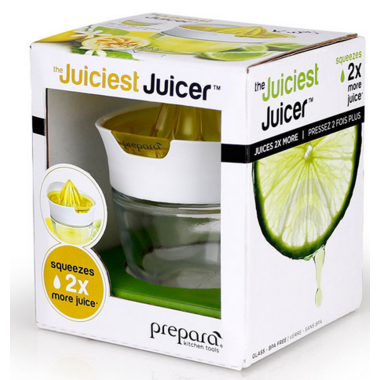 Prepara Juicer effortlessly juices lemons, limes and oranges with 2 times more juice per squeeze. 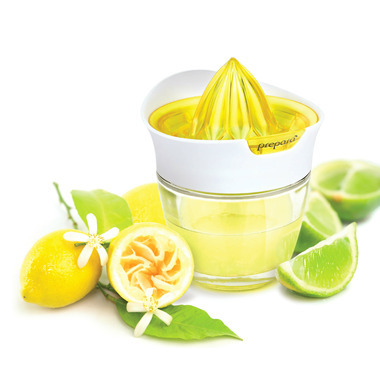 The deep fluted, removable reamer is designed to maximize juice extraction. Includes a lid for storage.